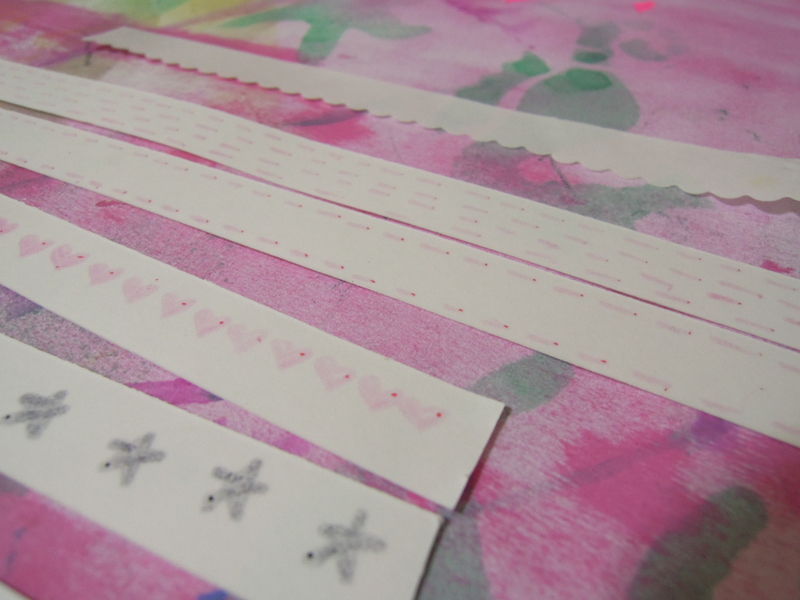 Today I’ve got a quick and simple tip/tutorial for you to jazz up your washi tapes. If you’re like me, you probably have lots of washi tapes in your stash, and can’t help wanting to add even more to your collection. But we all know that each roll of washi tape lasts a long time, and it will take a long time to finish up even one roll. Not to mention that sometimes, we get tired of the designs we own (even though we still really like them) and just want something different for a change. I first laid down strips of washi tape on sticker sheet backing so I can work on them on a flat surface. I tend to keep sticker backings for projects involving tapes and handmade stickers so it’s easier for me to work on them or store them, and I can shift them out of the way easily. You can of course work on them on any surface that the tape won’t stick permanently to, such as a non-stick crafting mat/sheet, waxed paper or deli paper. Now onto the designs! 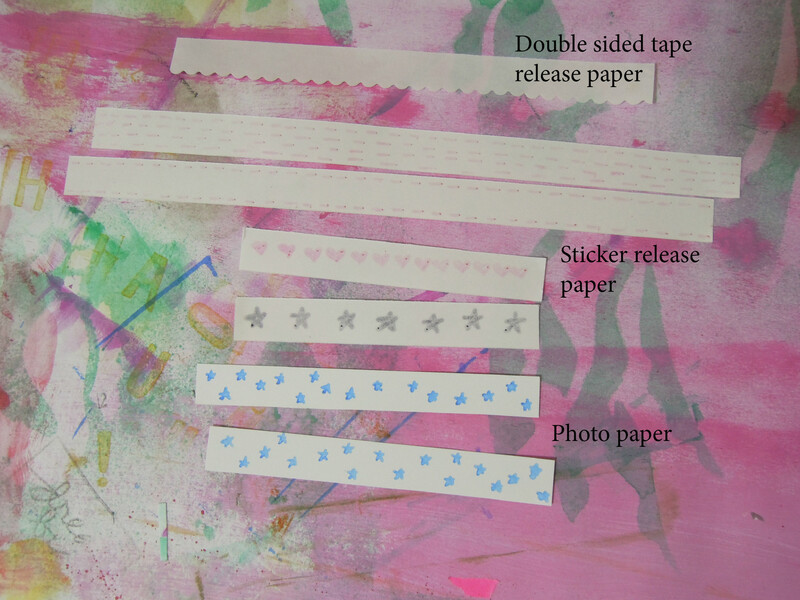 You can see from the examples above that there are many designs you can doodle on your washi tapes. You can make dots and any other polygonal shapes you want, or just make a variety of lines, such as stripes, plaid, zigzags, dashes, ‘x’, ‘+’. Really, any kind of mark making will work here. You just want something that will jazz up your washi tape and make it look a little different. 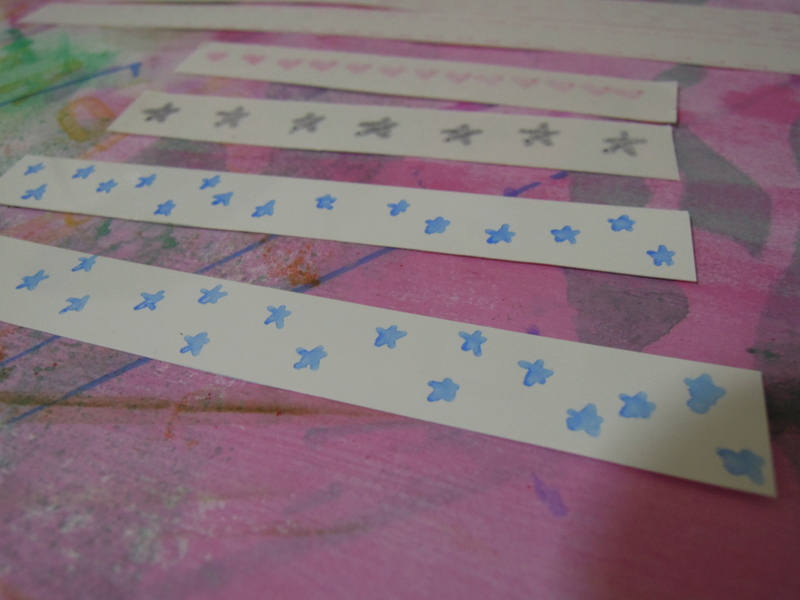 Try using different colours for the same design, and you can end up with a washi tape that has a different look to it. 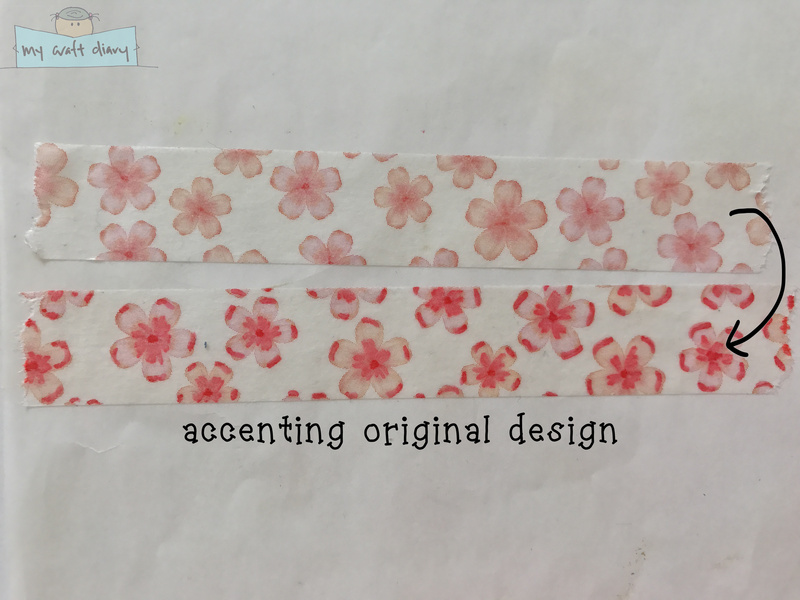 Even adding some highlights to the original design will give it a different look, as seen in the sakura washi tape. 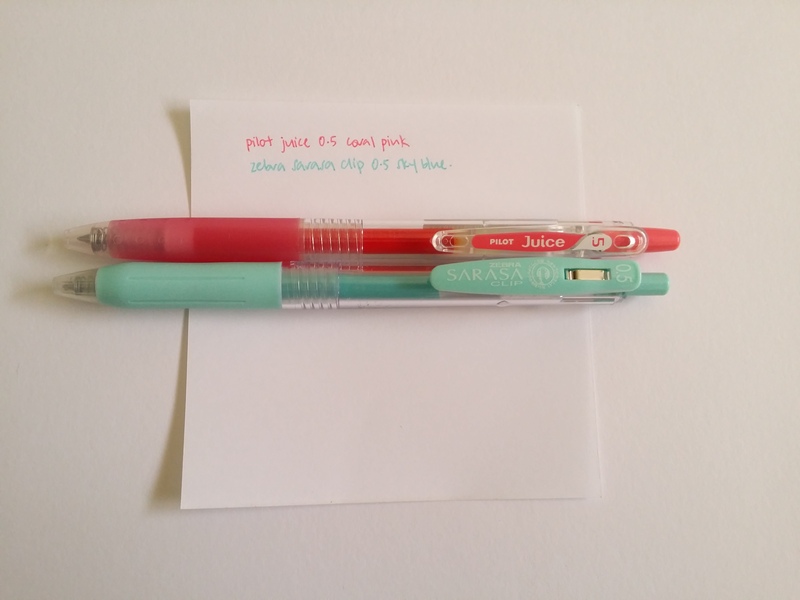 You can use just about any pens and markers you have in your arsenal. In the above examples, I used Sakura Gelly Roll Metallic Gold, Staedtler Pigment Marker and Kuretake Zig alcohol markers, but any gel pens, pigment markers or alcohol markers should work. I didn’t show it in the photos, but water-based markers will work as well. 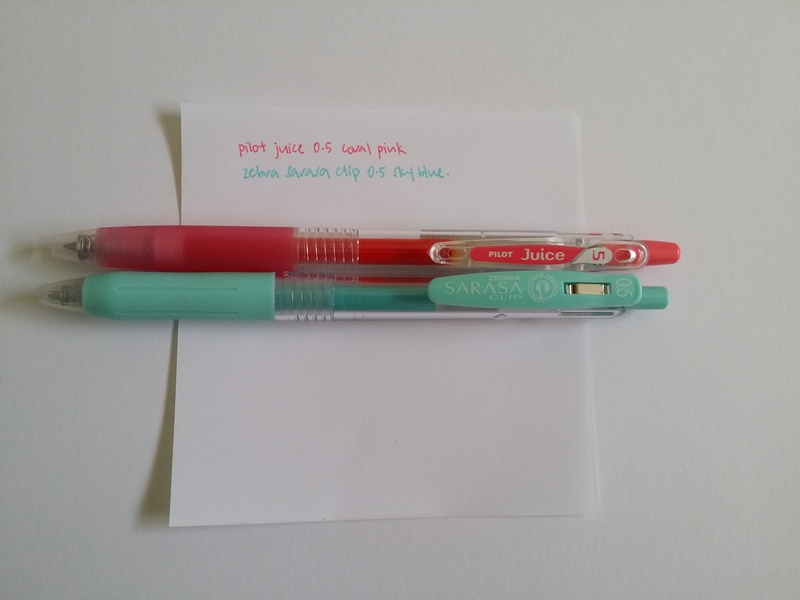 You do need to let the gel pens, pigment markers and water-based markers dry for some time though, and be careful not to smudge them while you’re adding your designs, because the surface of washi tape tend to repel them. I let mine dry overnight and they were completely smudge free by the morning! 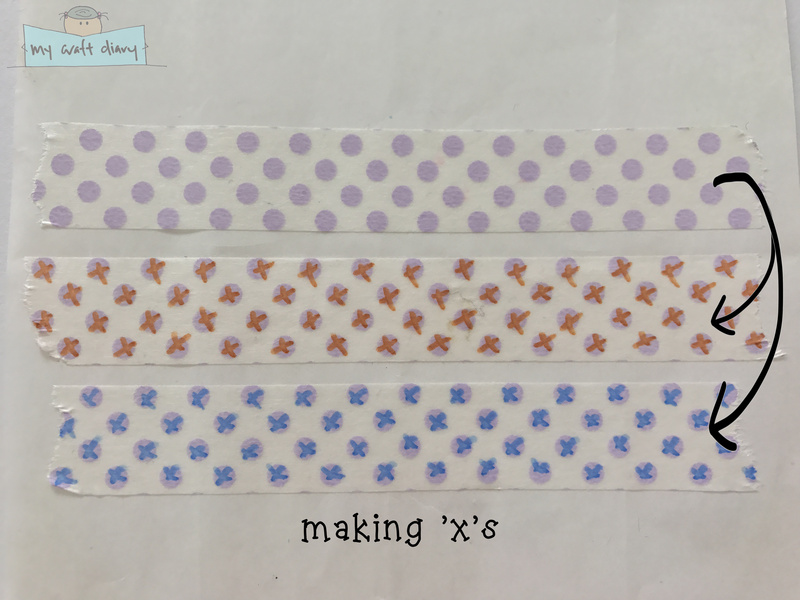 Here are the links to the washi tapes that I used in my photos: plain pastel yellow, plain baby blue, purple dots, sakura blossoms. I try to link to Amazon whenever I can because I am an affiliate member of Amazon, and I will receive a small amount if you shop through the links (at no additional costs to you). I’ve been taking a lot of photos lately, particularly for the shop and this blog. Most of the time now, I take photos with my phone because it’s just convenient to reach for, and easy to transfer photos to my computer wirelessly (a feature that my trusty camera unfortunately lacks). Sometimes I’ll use my iPad too, when my phone battery is low or when I can’t get the image to focus, but the idea is that using mobile devices is convenient for me. I’ve encountered a problem when taking photos though. I don’t have steady hands, so I need both hands to steady my phone or iPad when taking photos, which means that I don’t have the extra finger to poke the screen of my device when I am ready to take the photo. That resulted in multiple attempts at shots, as images tend to get blurry the moment my hand leave the side or stretch to touch the capture button. A while back, I discovered a solution to my problem while fiddling with the settings of the camera app on my phone – I can use voice control to command my phone to take photos, without having to sacrifice one hand I use for steadying! That has saved me lots of time and effort in taking photos, and eliminated a lot of the frustration. Head to settings on your phone’s camera app. You might also need to head to the settings of your phone to activate the voice control function. 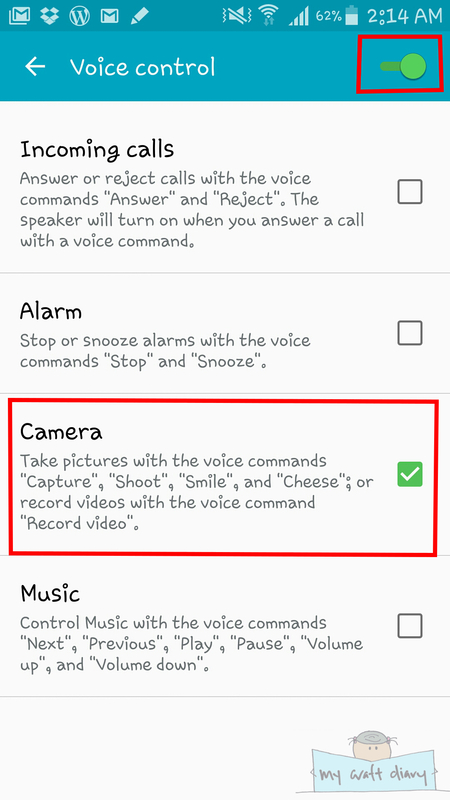 To use voice command when you are taking a photo, just give the command that is indicated on your phone settings. Mine says either “capture”, “shoot”, “smile” or “cheese”. I like to say “shoot”, because it’s just one syllable, and my phone detects it quite well, so try different command to find one that works best for you and your phone. As a reference, I’m using a Samsung Galaxy Note 3, which is an Android phone. 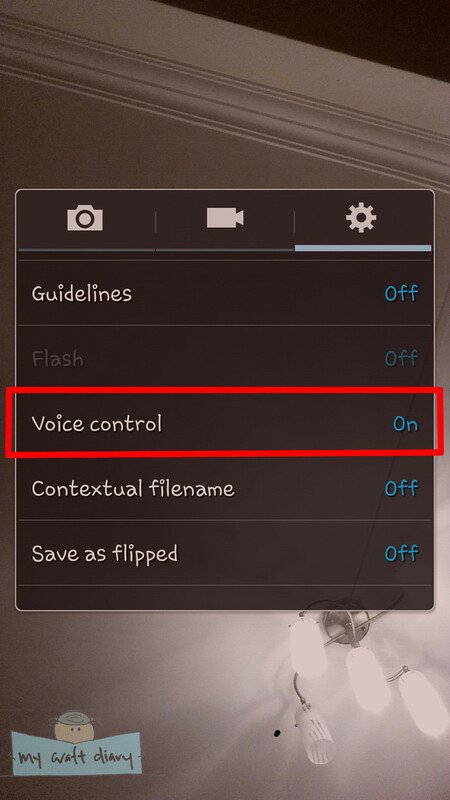 From what I can gather from the web, all Android phones have the voice command function in-built for the camera. Unfortunately, if you are an iPhone or iPad user, there is no such in-built function available. There are however, apps you can download from the app store that would provide the same function. I’m not particularly impressed with the apps I’ve found though, so I won’t be mentioning any. But you can search the web using search terms like “voice command iPhone camera” and a few apps will pop up that you can try out. I think it’s a shame that Apple devices are lacking this function, which would have been great, because admittedly, I find Apple cameras to be better. 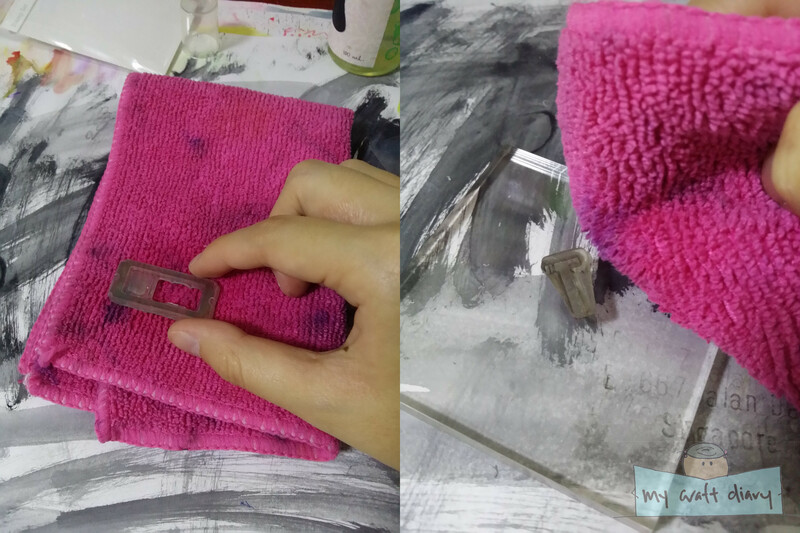 Hi friends, today I have a quick tip to share with you, on how to get your clear stamps to cling again. I own quite a few clear stamps, because they come in a lot of designs and are much easier to store. Unfortunately, cling stamps have a tendency to lose their stickiness on the back, and doesn’t want to cling to the stamp block or the plastic backer sheet during storage. This can be problematic not only when you’re stamping, but you can also easily lose the stamps in storage, if they drop off without you noticing. I’ve lost a few tiny stamps this way and I’ve never been able to find them again! Even more troublesome if these are alphabet stamps – what to do with a alphabet stamp set that’s missing a vowel? The problem has been sitting on my mind for a while so I set about trying to solve it the other day, and found a way to make them cling properly again! 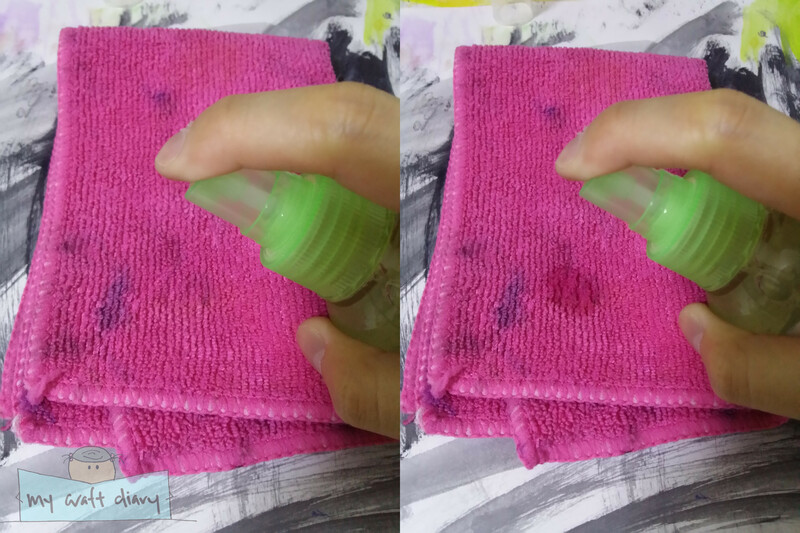 Step 1: Spray some stamp cleaner onto your rag. Step 2: Place your stamp, cling side down onto the rag. 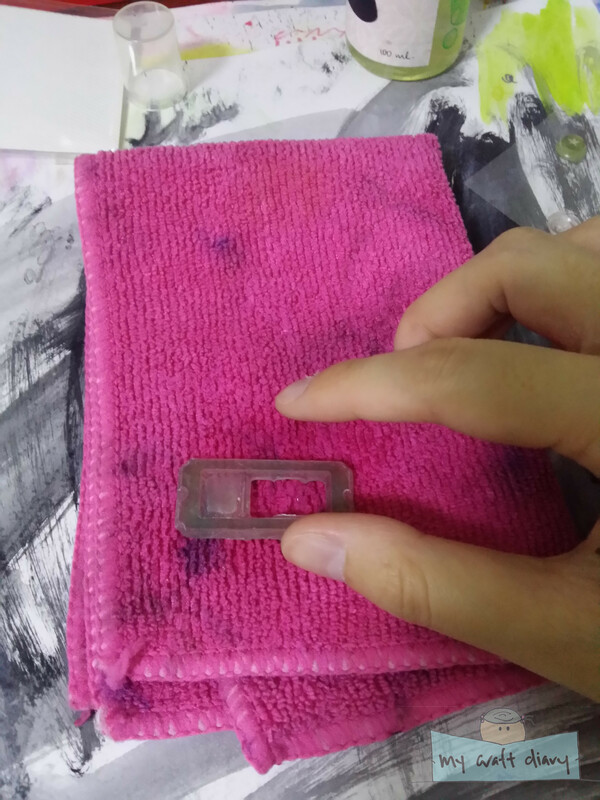 Step 3: Rub the stamp onto the rag a few times. 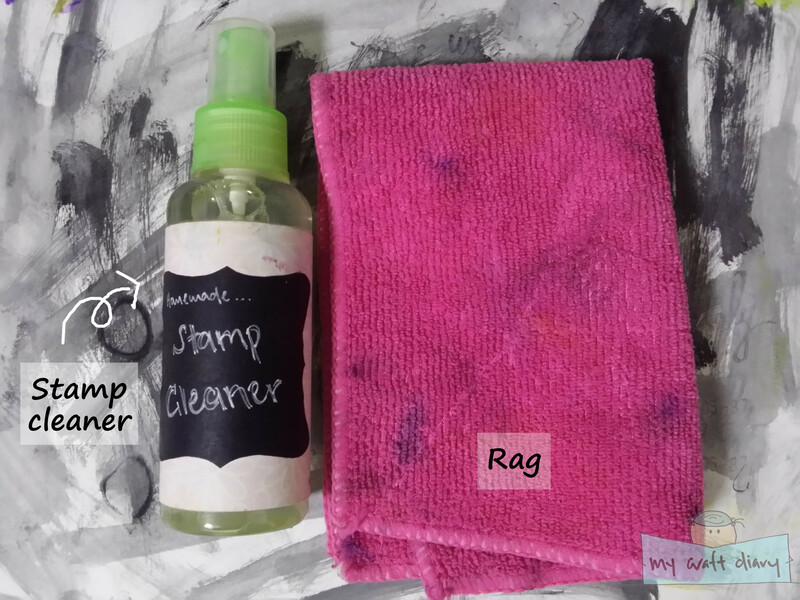 You can also bring the rag to the stamp, if you feel like you want a little more control. And that’s all! 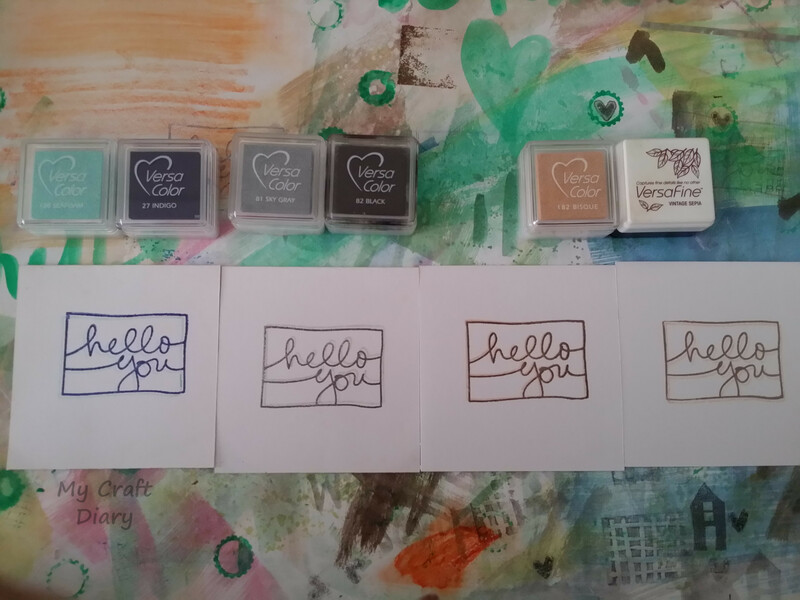 The process is actually very similar to cleaning your stamps, because you are effectively cleaning off all the dust and dirt that have stuck to your stamp, which is what make it doesn’t cling anymore. Here’s a photo of how my stamp set look after I’ve cleaned the cling part, in contrast to the original. That was a couple of weeks back, and the stamps are still clinging well so this method definitely works! I hope you enjoyed this little tip and tutorial and that you would give it try! Let me know what you think, or if you have other methods that you would like to share as well. Until next time. 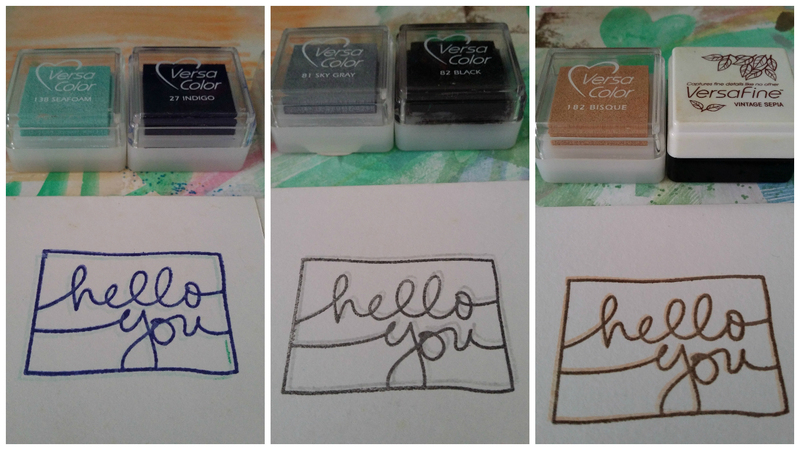 I am working on a small note card here, stamping the “hello you” sentiment onto the card front. The colours I picked for this project are tone on tone, i.e. they are different shades of the same colour but you can pick any combination of colours you wish. Step 1: Stamp down your first ink layer. I’m working with the lighter colour first because I find it easier to align the stamp when I layer down the second ink layer (it’s less distracting!). Here’s a closer view of the light stamping. If you find the light colours difficult to see, you can enlarge the photo by clicking on it. 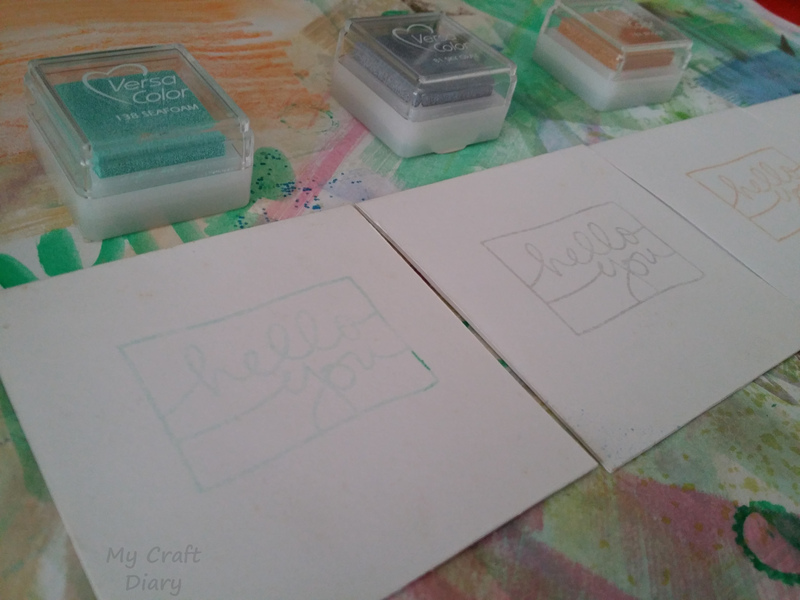 Stamp 2: Stamp down your second layer of ink with a little bit of offset by looking through the stamp and stamping block to achieve the desired amount of offset. You can choose to offset left/right, up/down, or both. I did different combinations of offset in the photo below. 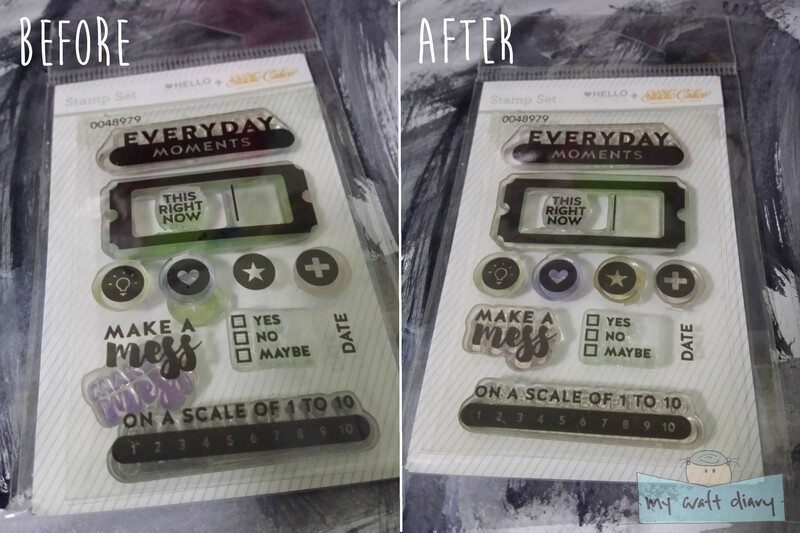 You don’t need to be too particular about the placement of your stamps because it will turn out great in the end. Hope you enjoy this mini tutorial! 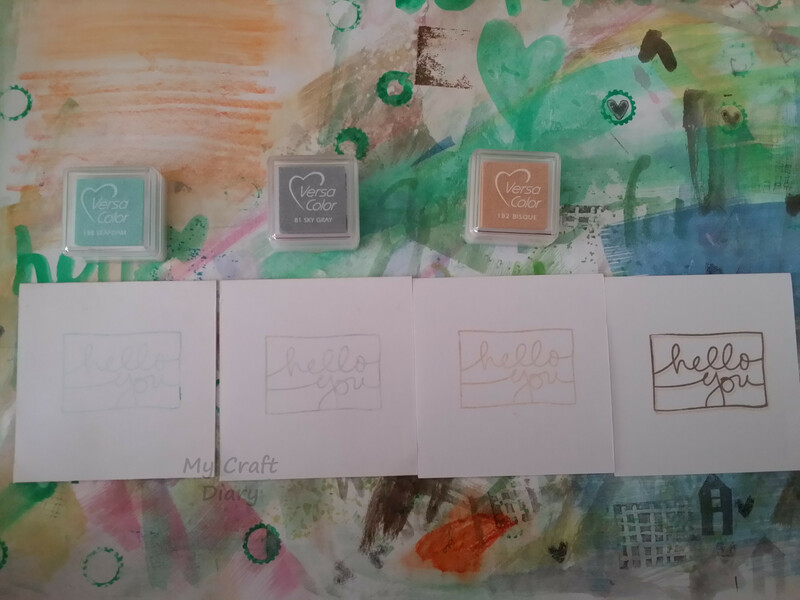 This simple technique added some much needed oomph to my little note cards and now they are ready to be written in and given to others! I drink tea a lot, mostly black tea. 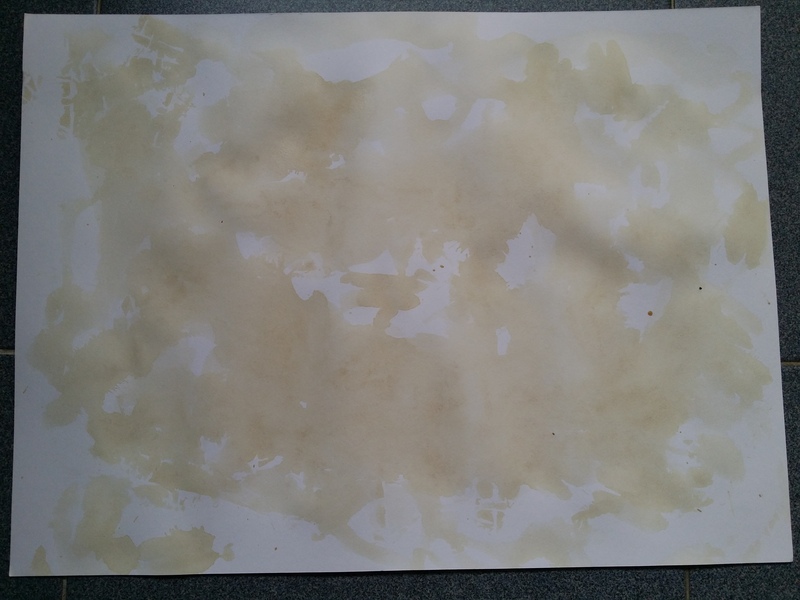 A few years back I decided to try staining paper with tea because I’ve read about how it can aged paper so I started to do this when I had the time after a cup of tea. I experiment too, with different ways of making stained marks on the paper for some variety, even though by the nature of it each paper would be unique. I was staining some papers again today so I though I share a little on my process. I will make a cup of tea of myself, and once I have finished the tea I will use the teabag for staining. Most of my tea are store bought and in pre-packed teabags. 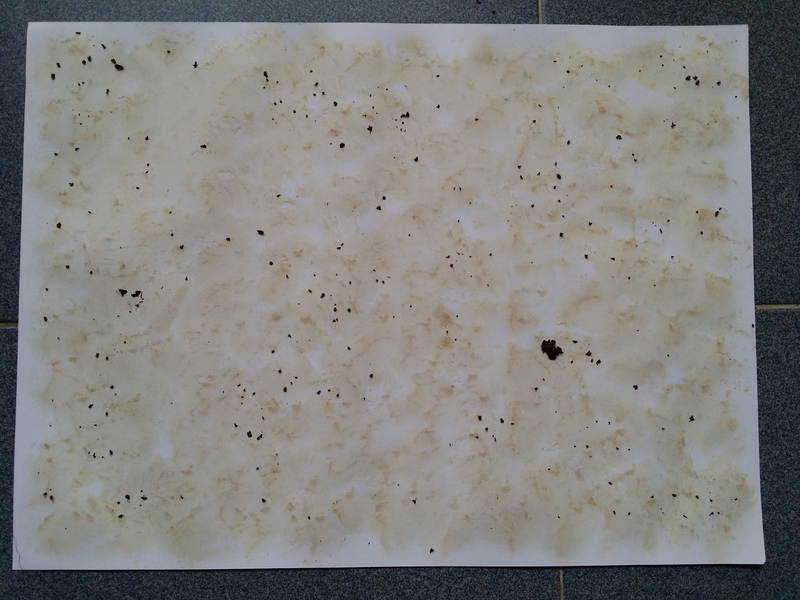 Each teabag can stain several pieces of paper, depending on how large the paper is too. I usually stain 11″ x 14″ papers, and do about 2-3 sheets of them, though you can definitely do more should you wish to. One important thing: teabags are rather fragile, so they will break apart during this process, which will end up in some degree of mess when the tea leaves come spilling out everywhere. So work on a surface that can be easily cleaned up. I also don’t recommend cleaning up immediately after this project, because the tea leaves are wet and in a clump, which doesn’t clean off that well. It is easier to clean them when they are dry, unless you are using a vacuum cleaner. I often start off with a light touch, so that the teabag doesn’t break apart that easily. The more tea leaves you have in your hand, the more number of sheets you can work on, so keep them in mind if you would like to meet many sheets at once. The first sheet of paper is done by simply dragging the tea bag across the paper. I use the string attached to the tea bag to pull it across the paper so you can tell that the stains are a little bit more continuous. You could fill up the entire sheet of paper with stains if you wanted to, but I left some white spaces around for some interest. Dragging the teabag is probably the gentlest form of staining, as you can tell by the lack of tea leaves on the paper (as compared to the second photo). Do also take note that the first sheet of paper you work on would also buckle more than the others, because the teabag would still be rather wet from the tea drinking session. The second sheet of paper is done by holding the teabag with your hand and then randomly pouncing onto the paper. This is when it starts to get rough and the teabag starts to break apart. You can tell by the tea leaves that are scattered all over the paper. However, this technique also gives you better control and a much more varied look and intensity of stains. You can go even rougher and more intense from here, though I didn’t do them today because I wasn’t in the mood to clean up from the mess it would create. You could rub the tea bag on the paper, in a motion similar to ink blending tools. This causes the tea bag to rupture the most, spilling the tea leaves everywhere. The resulting stain will leave the marks from the rubbing motion, so it’s another different look altogether. To clean up, I would suggest leaving the paper to dry. Once they are fairly dry you can proceed to brush off the tea leaves off the paper. As I mentioned earlier, this would be a much easier way to clean up when the tea leaves are dry. I mostly use these pieces of paper to make my art journals, treating them like patterned papers. You could do the same technique on like cardstock for cards or scrapbooking and any kind of paper actually. 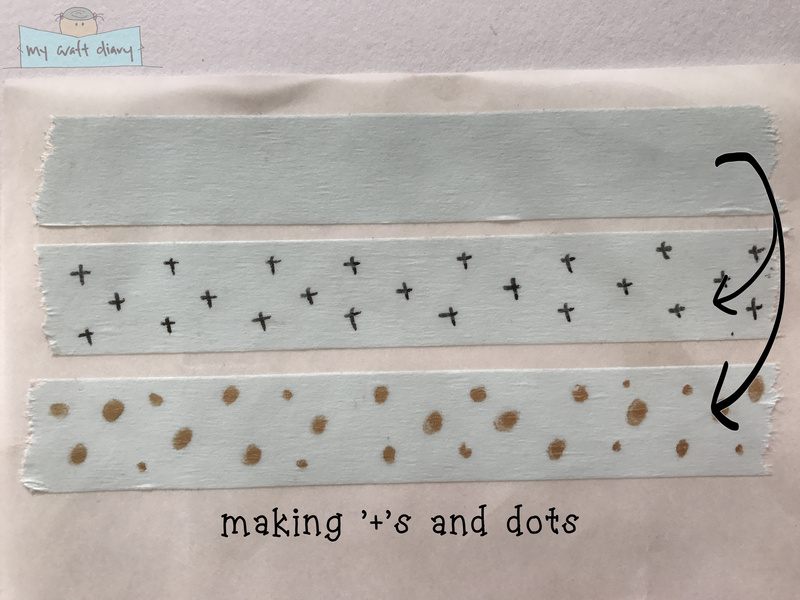 Hope you would give this a try and if you have any other technique of making stained marks on paper with teabags, share them in the comments below! On a roll with blog posting these couple of days. Attributing this to having lots of test and assignments due in school, as my brain shy away from thinking about all these stuff. 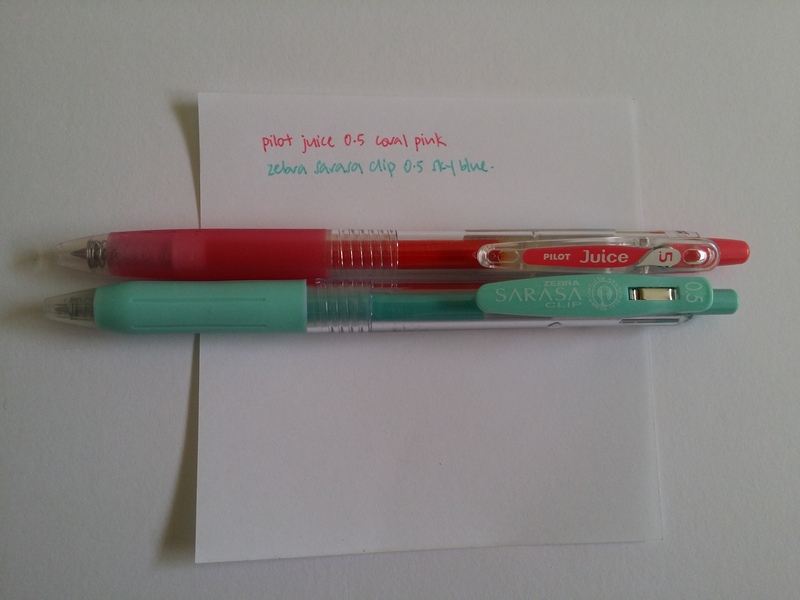 Anyway, this post came about from the last post I did on pens review, as I was trying to take a good photo. This is somewhere between the previous two photos, which turns out to be the actual photo I used for my previous post in the end. It wasn’t obvious to me when I looked at the photos through my phone, but once I transferred the photos to my computer and enlarge them, I could tell that at exposure +2 it was a little over-exposed, and reduced the contrast between the words and the white paper. You can easily change the exposure on your phone camera by clicking on settings. Just remember that positive exposure makes your photo brighter and negative exposure makes your photos darker. I could adjust my exposure between -2 and +2 in increments of 0.5. Each camera phone might have different settings, so play around with your phone settings and see for yourself which exposure level is the most appropriate. I’m no expert at photography, so I experiment around with settings and see what work best for me. I use a Samsung phone (Note 3) which doesn’t have the best mobile camera around, so I just need to work with what I have. If you use an iPhone thought, Wilna Furstenberg just recently upload a video on how she uses iPhone to take good quality photos so you might want to head over and take a look. Her take is to edit the photos using the iPhone settings which I found it doesn’t help too much for my mobile photos, though that could most likely be because of a different phone. Admittedly, one thing I like about the iPhone is the great mobile camera. Hope you like this quick tip on adjusting exposure with your mobile camera! I’m excited to reveal updates to the blog! Inspired by how some craft bloggers use their own images in their blog design, I have decided to include my own artwork into my blog design too! I have been thinking about this for quite a while but hadn’t had time to do this. And then one fine day as I just sat down at my craft table wondering what to do the designs popped into my head! The first would of course be the change in the blog logo! It looks a lot bigger than I expected haha. But I think i’ll leave it at that because it’s going to take me a long while to redraw the image, scan it in and colour it again (read: proscratination). The second is of course the “ponderings” title! Since ponderings are a large part of this blog and a permanent feature, I decided to have a title for it! Makes me happy just to look at the logos and the bright colours. In case you are wondering how I did this, the process is rather simple. Much simpler than I had imagined before I’ve actually done it. First I sketched out my design on a piece of paper, before outlining the final design I want in black marker. Next I scanned it in and edited and coloured the scanned picture in GIMP. GIMP is a programme similar to Photoshop, but it’s a freeware. It is a limited in what it can do compared to Photoshop, but it works fine for my purposes: cropping, stitching photos together, text insertion, digital colouring. I was rather surprised that the digital colouring went on so smoothly, because the programme registered my drawn lines pretty well. I was also able to remove any background colour with a click to make it completely white, since scanning in white paper often result in some tinge of gray. Now that the process is so clear to me know, I envision myself doing more of this in the future. Perhaps not in the near future, but still, some time in the future. I was clearing out stuff from another room when I saw a stack old ikea catalogue that I have kept and collected. Since I had never actually used them for anything, I was going to throw them out until I thought: why not make some envelopes with them and see if I like them? And so I did. I picked out the pages with mostly full blown images and got out my WRMK envelope punch board. That’s a handy tool to have if you like to make your own envelopes because it saves you quite a bit of hassle (I used to use my Martha Stewart scoreboard but getting the measurements right was rather tedious). Even though I tried to make the paper have minimal words, bring a catalogue there are inevitably some words on the envelope, which I wasn’t too happy with. I wanted to cover them up and thought of using my stash of deli paper that were already covered by paint. I use deli paper like palette paper until I feel that it is colourful enough, but haven gotten an idea of how to use these paint covered deli paper before this. So that’s killing two birds with one stone, for I am getting wary of my accumulating stash of deli paper. This can be easily done by spreading PVA mixture (PVA glue + some water) on where you want to cover and then placing the deli paper on top of it. To make sure the deli paper stick well, go over the top of it with glue as well. You can see from the picture that for some envelope I didn’t fully cover the envelope with deli paper while some is completely covered. The prints from the catalogue do show through in some areas but it adds a nice texture to the envelope. It’s also a great way to turn your deli paper into colourful envelopes by just using the magazine paper as a backing to give it some weight. I didn’t cover the inside of the envelope with any deli paper but that could also be an option if you are bothered by how the paper looks when you open the envelope as well. 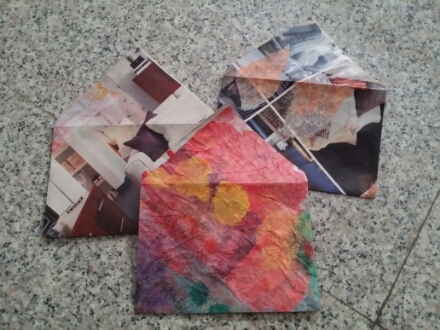 Hope you enjoy this mini recycling project and tips for prettifying the recycling envelopes! Note: I am not affiliated with the Amazon links provided, though I did purchase the score board and deli paper from Amazon. I’ve always been a fan of hole reinforcement rings as a child, because somehow there will always be some pieces of paper that ends up getting torn off from the file, especially file cover pages or content pages. What a neat girl I am! And of course, my life also got easier each time our teachers asks for file checks and I see my classmates frantically borrowing other people’s file to mark off which worksheets they are missing. I always used the plastic kind because they are the most common ones but a few years back I found the white paper ones. Isn’t it nice to just have white on white without any reflection from the plastic showing? It works especially well for my book making projects when I wanted the holes to pop a little more. Then here comes the moment I thought of an idea so simple I can’t believe I didn’t think of it earlier. I wanted to label the top of my colour spray bottles, but didn’t have any circle labels at home so I used the white reinforcement rings as a substitute. And I thought: wait a minute, I can colour these white ones and then I’ll have a bunch of coloured ones that I can use for my projects and what not! And what you need to do is to colour the reinforcement rings with the marker of your choice! Simple isn’t it? Of course there are other things you can do with the plain reinforcement rings. Stamping on a pattern, drawing with your markers or colour pencils, as long as it is not a wet media. I don’t recommend wet media because the rings get really flimsy after gotten wet (ask me how I know: I sprayed the rings to get the colour labels for my spray bottles), so they don’t work too well as a reinforcement ring afterwards. Though if it is only for decoration purposes, it shouldn’t be a problem the. Hope you play around with this and create a whole assortment of coloured hole reinforcement rings! I’m thinking of putting up some of these in my shop for those who just want to give this a try but doesn’t want to commit to getting the supplies. They should probably be up in the next couple of days once I claim my camera back from my mum who used it for her travels. See you in the shop then! I have a mini tutorial for you today, and it’s all about recycling! I like to minimise my crafty waste because I feel that all our crafting supplies costs quite a bit so I don’t want to throw them away if I can help it. Reducing waste is also another mantra I have because we are consuming so much in our everyday lives and throwing away as much too. As a crafty bonus, working my way around these supposedly waste items gives me new crafty ideas to work on a constrain so it’s definitely a good crafty exercise. Today, the focus would be on glossy paper. Now, I use glossy paper as a generic term for the texture of the paper. So this includes leftover glossy coated photo paper, sticker release sheets and even release paper from double sided tape! If you are confused with why I have leftover photo paper, I use my Canon Selphy photo printer, and the papers have strips on either side of the photo that you tear off the perforated lines. These are things that we often just discard without thinking too much about them. But with some markers and a little bit of doodling, they can be transformed into patterned strips that you can use them for borders, banners, labels, embellishments and anything you can think of! Photo paper: Water based markers will not work on this surface, so you will have to use alcohol based markers. You can try to stamp on it, but because of the slick surface not all ink pads will dry on the surface so you need to experiment a little. Double sided tape release paper: The release paper is slippery on both sides, and like the slippery surface of the sticker release sheet, I couldn’t get ink to stay on the paper without puddling up. So instead, I used a decorative edged scissors to make a decorative edge. You can try this with any decorative scissors you might have and give a different edge. If you don’t own any decorative scissors, you can just freehand for some wonky waves or zigzags! I hope you do give this idea a try and give some crafty life into these waste! Let me know any new ideas that you have in the comments below! 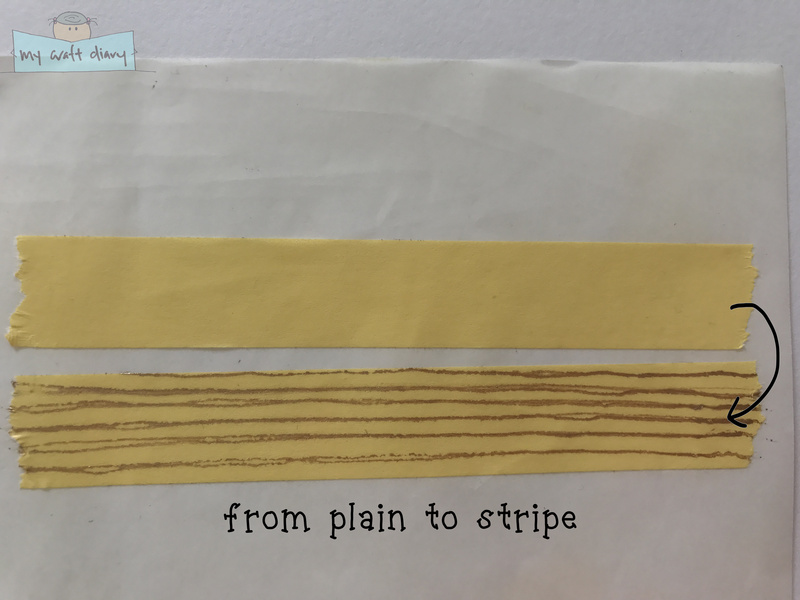 Update: I had problems adhering the strips made from the sticker release sheets and double sided tape release paper using a tape runner – probably because the surface was designed to removed such adhesive easily from the sheets. You should use a glue stick or any wet adhesive, though note that the surface will be slippery when you put it down. Overtaking the world, one luggage tag at a time. No, not really, but there’s this amazing story of how I missed my flight by waking up 10 minutes before departure, and was this close to missing my rescheduled next flight out by checking in 45 min before departure. The funny thing? The rescheduled flight was the original flight I wanted to be on, but was told it was fully booked. Totally feel like a #yolo moment. And apparently, missing flight for your business trip is not the end of the world. My Craft Diary is a participant in the Amazon Services LLC Associates Program, an affiliate advertising program designed to provide a means for us to earn fees by linking to Amazon.com and affiliated sites, at no additional costs to you. A disclaimer will be stated clearly at the end of all posts with affiliate links.